Katti parippu or daal curry is also a traditional Kerala recipe usually seen in sadhyas. Sadhaya will be incomplete without kattiparippu. 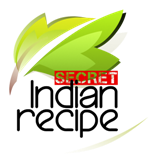 Anjana's Secret Indian Recipe ! Place a pressure cooker on the stove and switch on the stove. Cook daal, turmeric powder, salt, green chilli, curry leaves and water in the pressure cooker for about 10 minutes. Grind grated coconut and cumin to make a smooth paste. To the already cooked daal, add this paste and bring to boil. Then turn off the flame and pour oil above it. Katti parippu curry goes best with pappadam and ghee. Either you can use pigeon pea (Toor daal or thuvaraparippu) or green gram lentil (Munga bean lentils or cherupayar parippu) for making this recipe. बड़े तो क्या बच्चे भी उंगली चाटेगें ये व . . .
Matki chi usal (moth bean spicy curry) ( . . .
Dudhi chi bhaji / lauki ki sabzi (a simp . . .
Urad dal ki amritsari masala badi (peel . . .